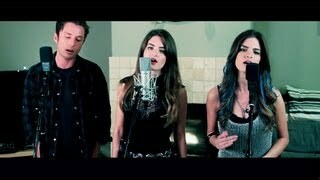 Skyfall - Adele (HelenaMaria & Ronnie Day cover) on iTunes Views: 557,128 Description Here is our cover of Adele - "Skyfall" the new 007 theme song! ... Adele (HelenaMaria & Ronnie Day cover) on iTunes Here is our cover of Adele - 'Skyfall' the new 007 theme song! You can download on iTunes ... CHART. by Wer zur Hölle bin ich?